The Artistic Association organized its 8th Artists’ Night on the Place du Marché-Neuf in Saint Germain-en-Laye on Saturday, the 22nd of April. 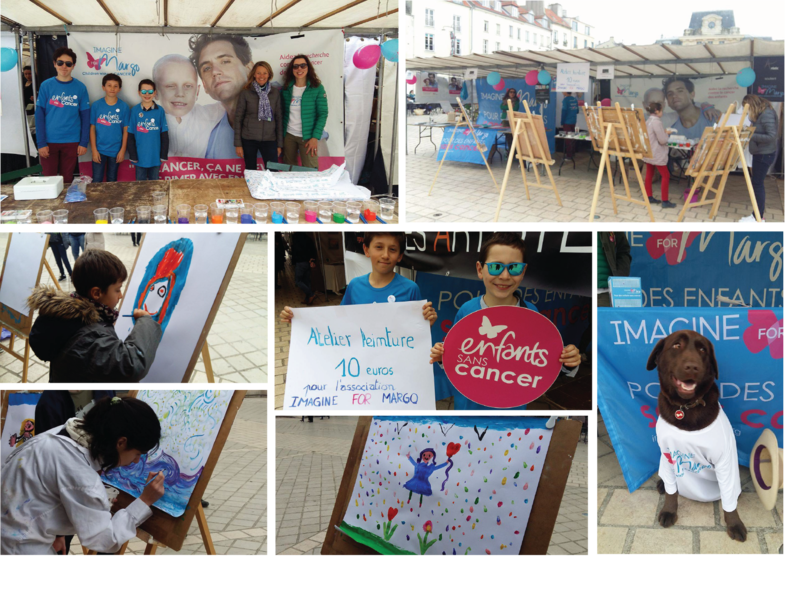 Frédérique proposed on a stand dedicated to Imagine for Margo a painting workshop that much pleased children, teenagers and bigger. It was an opportunity for our dynamic volunteers to present our next race on our stand. More than 400 € were collected through this workshop and donations. We sincerely thank all the members of the Artistic association for their faithful support; Alix, Frédérique, Colette and Claire for their presence and our faithful volunteers.